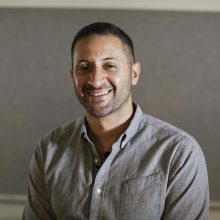 Samer Saliba leads the IRC’s urban work and is currently gathering evidence and advising on how to improve urban humanitarian response and address urban displacement in policy and in practice. Prior to his three years at the IRC, he served for seven years as an urban planner, bolstering the resilience of New York City and the Northeast U.S. Through his involvement in innovative programs such as Rebuild by Design, the New York Rising Community Reconstruction Program, and the National Disaster Resilience Competition, he has worked directly with at-risk communities, regional and municipal government agencies, and numerous other stakeholders in developing integrated resilience and strategies that go beyond the basics of community planning. With the IRC, Samer works with country offices throughout the globe in supporting their urban response portfolios and the cities they benefit, helping them design programs, pursue partnerships, and build resilience. He is currently focused on urban refugee response in the Middle East, Europe, and East Africa and has directly advised municipal strategies around displaced and marginalized residents, including those of Amman, Kampala, Milan, and Paris. He holds a Master of Urban Planning from New York University’s Wagner School of Public Service.